The posts in this category describe various ideas for, and possibly rationale for, incorporating Christian World View in the classroom experience. Think of it as ways to make CWV come alive! Have you ever tried to fit a round peg into a square hole? Me either, however, the concept grabs your imagination and immediately communicates that trying to do so, won’t work well, if at all. Many people have that same impression about the inclusion of a Christian worldview focus in higher education coursework. The thought is that any attempt to incorporate a Christian worldview into such subjects as accounting, business, psychology, etc. is like trying to fit that round peg into a square hole. From my experience working at other universities, some of them Christian, I discovered that perspective is more common than not. I think what contributes to this perspective is that most faculty have never themselves been exposed to educational experiences which challenged them to defend and articulate faith in relation to their professional area of study/expertise. Because of this lack, I find that sometimes our faculty are hesitant to raise the issue or open the class up to genuine dialogue about the Christian worldview. They feel uncomfortable talking about their own faith and worldview and so it is glossed over. Belhaven’s curriculum is written with the goal of challenging students to think about the intersection of their course content with their faith and be able to articulate a Christian worldview. But, that assumes the active participation of the Instructor for the full benefit to be achieved. Earlier today I spoke with a recent graduate of our MBA program. She had also been an undergraduate student with Belhaven. As we talked she expressed the impact the discussions on Christian worldview had on her, and how impactful it was in her education and personal development. This isn’t the first or even the fiftieth time I’ve heard such comments from our students and alumni. I’ve heard it enough that I’ve become a full convert to the importance of having these discussions in the classroom, regardless of subject, and the need to challenge our students to self-examination and growth in their personal worldview. So, round peg in a square hole? I DON’T THINK SO. I think the dicussion of a Christian worldview related to any subject is a perfect fit. If you struggle in this area, let’s get together and discuss ways to make it work and connect with others in your subject area to help with teaching ideas and strategies. If you feel you do this well, let me know, perhaps we can arrange a webinar or a blog post to share your success in this important area. I want to thank you for the significant impact you have had on my heart, my mind, and my spiritual growth over the past four years during my undergraduate studies. You inspired me to take each subject into my heart, infusing each one with a biblical application that brought meaning and importance never before seen. You helped me to assign words to my Christian worldview, and to embrace my biblical beliefs boldly. You pointed the way for me to look back at my life, to identify how my worldview was formed and to appreciate the gifts I was given in my upbringing. You were patient when life got tough and I needed Grace on a deadline here and there. You directed me to the One who would provide exactly what I needed in every course, every day, and every week. You helped to identify the talents God gave me and encouraged me to believe it is never too late to become the person He planned for me to be. You gave me a safe place to be in community each week, in prayer, in vulnerability with one another, and in trusting friendships. Because of you, I became a more effective employee, a more compassionate friend and a closer-walking disciple of Jesus. The BSM diploma and the James W. Park award are humbling honors I will always cherish, but they hold more meaning because of the many ways my life was enriched by you. In honor of Constitution Day, September 17, 2018, I thought it would be appropriate to write about the worldview from which the Constitution was written. There are a whole bunch of people out there that think the United States Constitution has nothing to do with God. There is even a book out there used in law schools called The Godless Constitution where a couple of professors from Cornell say that we have a secular government governed by a secular document. Modernism is at the root of the problem because it separates history from its context. What was the context of the writing of the Constitution? What did the founders intend by what they wrote? These are the questions we should be asking as we interpret and apply the Constitution. Those who penned the Declaration of Independence, the Constitution, and the Bill of Rights did so from a Christian Perspective. There are seven reasons why the Constitution is not a godless document, but rather stems from the Christian worldview. The first reason the Constitution stems from a Christian worldview is found in Article 7. It is the clause that incorporates the Declaration of Independence into the Constitution. The Declaration of Independence acknowledges God four times, but opponents say that we are not under the Declaration, we are under the Constitution. Eleven years later, the framers left God completely out. Really? That makes the mistake that the two documents were meant to be separated. The Founders intended that the two documents were irrevocably intertwined; they go together. Samuel Adams said, “Before the formation of the Constitution, the Declaration of independence was received and ratified by all states in the union, and it has never been disannulled.” The Declaration has never gone out of force. It was completed before the Constitution and it is a key document. Even the early U.S. Supreme court said, “The Constitution is but the body and letter of which the Declaration is the thought and the spirit…it is always safe to read the letter of the Constitution in the spirit of the Declaration of Independence.” They could not be separated. The Constitution cannot be understood without the Declaration. John Quincy Adams said, “The Declaration of Independence was the platform from which the Constitution of the United States had been erected. The principles proclaimed in the Declaration of Independence were embodied in the Constitution of the United States.” The foundation cannot be pulled out from under the structure of the Constitution. Consider the Constitution and Declaration as you would the documents needed to call a corporation into existence. Two papers must be created and filed: the first is the Articles of Incorporation; the document that calls the corporation into existence – the reason the corporation is to exist. The second document that must be filed is the Bylaws – this is how the corporation will operate under the Articles of Incorporation. So the Articles of Incorporation provide the purpose and the Bylaws provide the practice; the “what/why” and then the “how.” The Bylaws are never allowed to violate the Articles of Incorporation. The way you operate the company cannot violate the reason it was called into existence. This is why the Declaration and Constitution cannot be separated. The Constitution cannot exist without the Declaration. The Supreme Court pointed out that you cannot understand the Constitution without the Declaration. They said that if you want to understand the intent of something in the Constitution, then “determine the evil which was intended to be remedied.” If you want to understand why the Second Amendment was added, then determine the evil or abuse they meant to prevent. They wrote this material down to ensure that these abuses never happen in America. Within that framework, look at the articles in the Constitution. If you go to Article 1, Section 5, Paragraph 4: “neither house during the session of Congress shall, without the consent of the other, adjourn for more than three days to any other place in which the two houses shall be sitting.” Why? Go back to the Declaration and look in the 27 grievances, where they pointed out 27 abuses that Great Britain enforced upon the thirteen colonies. Grievance four in the Declaration discusses how the King would adjourn one body of Congress for months or move their meeting location away from needed resources to frustrate their progress when they were proposing something against his will. This was designed to prevent a specific problem going on at the time. Article 1, Section 4, Paragraph 2: “Congress shall assemble at least once a year and such a meeting shall be on the first Monday in December unless they shall by law appoint a different day.” Why? It is the solution to grievance five in the Declaration. Article 1, Section 8, Paragraph 4 says “the purpose is to establish as uniform rule of naturalization and uniform laws on the subject of bankruptcy throughout the United States.” Why? This is the solution to grievance seven in the Declaration. The grievances stated in the Declaration directly correlate to what is stated in the Constitution; therefore, the two documents cannot be separated. It is the only way to understand the two documents. For the same reason Article Seven, the last line of the Constitution, says, “done in convention by the unanimous consent of the states present the seventeenth day of September in the Year of Our Lord, one-thousand seven hundred and eighty seven.” But then there is another clause: “and of the independence of the United States of America the twelfth.” Why did they date the Constitution back to the Declaration? They did not believe they had created a new document, they were expressing that it was an extension of the Declaration from 1776. To this day, Constitutional Acts signed by the President do not date back to 1787, rather they date back to the Declaration and 1776. That is why it cannot be separated and the first reason we can know it stems from a Christian worldview. 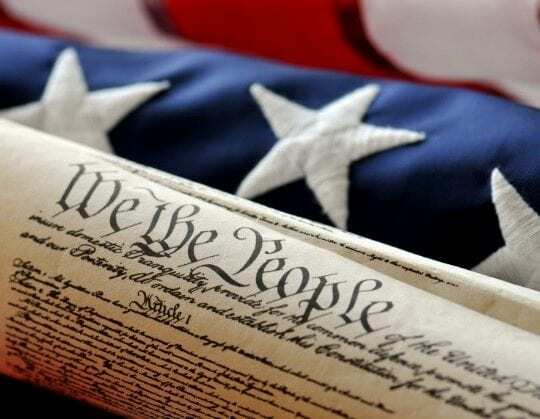 Article Seven connects the Constitution to the Declaration; the Declaration acknowledges God four times and sets forth the value system under which America is to operate which is “the law of nature and of nature’s God” – natural law and the Scriptures. The second reason the Constitution stems from a Christian worldview is the source of its ideas. The Constitution contains ideas that had never before been set forth in a previous government’s documents. A full republic with checks and balances – a marvel among humankind. Where did they get these ideas? Political science professors at the University of Houston collected representative writings out of the founding era (1760-1805) and analyzed who they quoted to find out where they got their ideas. They collected fifteen thousand writings and identified 3,154 direct quotes of the founders; it took them ten years, but they took every quote back to its original source and discovered the top one hundred sources. They published their findings in a book called The Origins of American Constitutionalism. Out of all the writings that were out there – Rousseau, Voltaire, Montesquieu, Hume, Hobbes – the one that was quoted more than any other was Baron Charles Montesquieu’s Spirit of the Laws at 8.3% of the quotations. The next quoted source was Sir William Blackstone’s Commentaries on the Law at 7.9%. The third most cited individual is John Locke’s Two Treatise’s of Government at 2.9%. These are the top three cited individuals, but the number one source cited was the Bible at 34%. That is a good indication that they did not think this was a secular document because this was their primary source. Article 1, Section 8 about immigration compares with Leviticus 19:34. Article 2, Section 1 says the President has to be a natural-born citizen from Deuteronomy 17:15 which says the head of your nation has to be born from among you. Article 3, Section 3 deals with witness for capital punishment for treason, but two people must testify to it in open court; this compares with Deuteronomy 17:6 says you cannot be put to death unless it is established in the mouth of two to three witnesses. Article 3, Section 3 prohibits bills of attainder; Ezekiel 18:20 prohibits these in the Scripture. You can see the Bible throughout the Constitution, but because secularists never read the Bible, they are blind to these connections. Recently I was invited to speak at a local church gathering on the biblical worldview with regard to some hot button issues in our culture. That’s a pretty common request, so I did not expect anything unusual to come of it. Boy, was I going to be surprised. About forty adults, forty to eighty-year-olds, assembled monthly to discuss current events. I knew several people in the class on a casual level. We shared a passion for history, so I was excited about being with them in their current events class. The evening arrived. I entered the church, greeted folks, engaged in small talk, and then the class leader introduced me and asked me to pray. After that, we distributed printed agendas so the class would have a road map of topics for the evening’s discussion. We were in a political season in GA. The primary elections for governor and other state offices had been held just days before. Arguably, like much of our nation, the class divided when it came to social issues and politics. The atmosphere had been cordial, respectful, and dignified when I entered. But when the topics of politicians’ stances with regard to illegal immigration, special “rights” for the LGBTQ demographic, liberation theology, and “social justice” engagement came up, the atmosphere changed. Some of the men’s voices grew louder. I watched three of the women’s faces grimace. Several wives squeezed their husbands’ hands as if to say, “Patience.” I was hearing Solomon’s admonition in my mind (ESV): “Whoever is slow to anger has great understanding, but he who has a hasty temper exalts folly” (Proverbs 14:29). In short, I sensed things were going south … quickly, and I had not even spoken yet. What was I going to do? Then something happened that made me realize I had an opportunity to hopefully bring calm to the room and draw the focus to the biblical worldview. One man cleared his throat and said loudly enough we were all sure to hear, “You know, it’s not our place to judge! Jesus told us to ‘Judge not, that you be not judged.’” He then sat back in his chair as if he’d settled every issue for the night. What shocked me was this: the class as a whole seemed knocked off their positions due to one man’s quotation from part of Jesus’ Sermon on the Mount. Suddenly I felt like Esther. Was I here for such a time as this? I believe I was, so I raised my hand. The class leader looked at me and said, “Jon, you have something?” “Yes, I do. May I ask a few questions and then just make a comment or two?” I asked. “Sure,” he said. “I heard someone say that we are not to judge. Is that right?” I asked. “Yes,” came a wave of affirmations from the class. “Furthermore, Jesus tells us in that same sermon to not condemn sanctimoniously but to remove the logs from our own eyes. Does that not require us to judge, to discern, our own shortcomings? Isn’t judgment involved there?” I pressed. I knew I might make some enemies by drawing them to the text, but the text of Scripture must be interpreted correctly. Otherwise, all sorts of misapplications can occur with supposedly biblical grounds. Proper context is key. This is the way I ended, and for the remainder of class I just listened. I share this story from my own life only to reiterate what we need to do with our own writing and when we teach writing to Belhaven students. When we quote Scripture, context is key. Explaining and understanding the whole and proper context of a verse/passage/book, etc. of Scripture is essential in our vocation as educators and Christians. When Paul neared the end of his life, and was about to be executed for his Christian witness, he wrote to Timothy crucial words for all of us, too, to heed: “Do your best to present yourself to God as one approved, a worker who has no need to be ashamed, rightly handling the word of truth” (2 Timothy 2:15). Never before have universities witnessed such generational diversity inside the classrooms. Such a mix should foster a wealth of exchange and variety, including complex experiences. I personally believe that such settings extend beyond the academic walls, lending themselves to the complexities that exist in our society. Interactive exchange affords students opportunities to not only learn from others and to respect their insights, but it also ignites them to critically think to best ignite the application of their own knowledge, spawning the hope for an environment for systematic engagement. Yet, amid this rich mix, there is also an “increase of failing institutions” (Lederman, 2017). I am deeply concerned. As I often share, during my daily commute I pass more than six colleges and universities. The average student lives more than 40 miles away and can travel up to one or two hours to attend Belhaven University-Atlanta. These statistics reveal that Belhaven University-Atlanta is indeed a university of choice and have caused me to ponder greatly about the survival of our campus in a mecca of ivy-league schools in the south. What makes Belhaven University unique? What is our “in”? Our “in” is the fact that we not only have a Christian worldview embedded into our curriculum, but the fact that we have an opportunity to openly and boldly live out our creed throughout the day. All institutions have the same 24 hours, but we are distinct in that we have 24 hours to work where we are equipped to live out, speak out, teach about and meet about an all-knowing, all-powerful and awesome Christ. That’s our “in”! No other institution can say that. As we go out into the fields to create maximum shareholder value, we must do more than post billboards and pass out postcards or heavy-weight business cards; we must boldly share our “in!’” We cannot sell our curriculum if we do not mention Christ. We cannot build solid alliances if our stakeholders do not understand our mission. Our unique and diverse student body cannot appreciate and value our differences if they do not understand the foundation upon which our great institution was built. The world is constantly changing. Too many are hungry for short-term solutions and less concerned about the welfare of humanity; and sadly, many institutions have moved from “ministry to business” in order to survive. In doing so, they have taken their focus off of Jesus Christ and placed it into systems and business practices. I am praying that Belhaven University will not change. It is my hope that Belhaven University will continue to promote diversity and encourage heightened, differentiated thought, and transformation learning. In doing so, it is my belief that Belhaven University will posture herself to continue to reevaluate her organizational focus – stand in righteousness, stand up for excellence, stand out from the crowd and stand firm for Christ. Each stance will continue to be our hallmark, but the latter will always be the one to take Belhaven University to unanticipated levels as we follow His prescribed plans. We are working on a re-design for the Faculty Resources tab of our site and in the process the webinars, which have been listed there, have all been moved to YouTube for easier access. As I was compiling these links I reviewed some of the webinars and was reminded of the wealth of information these contain. I’m posting that information below and encourage you to look over the list and review a couple yourself – I’m sure you won’t be disappointed. Don’t forget to register for the upcoming Webinar of the Faculty’s Role in Student Retention – see the calendar link on this page to register. I’ve just started reading Restoring the Soul of the University by Perry Glanzer, Nathan Alleman, and Todd Ream. In the introduction they state, “Redeeming the Christian university’s soul starts by recognizing that if we are made in God’s image and the world is made by God, we must first know God if we are to truly know who we are and what the world is.” (p.10) As I reflect on this quote and the title of the book, I am thinking about both in the context of Belhaven University. What I see reassures me that, at least at Belhaven, there is no need to restore the Soul to the University, for Belhaven can truly sing “It is Well With My Soul.” You no doubt have heard of the upcoming retirement of Dr. Dan Fredericks, our Provost. Due to his efforts and, many others, the Soul of the University has been carefully strengthened and nurtured over the years. The emphasis on fully incorporating a Christian World View into every aspect of Who and What Belhaven is has impacted lives, and through our graduates, their communities and the world. For us, it is not about restoration. Instead, it is about maintaining and enhancing the ground already gained. This is the charge for all of us in the roles God has called us to play here at Belhaven. For Faculty, you nourish the Soul of Belhaven through your interactions in the classroom: teaching, counseling, and modeling what it means to be called of God and saved by grace. Your faith, your commitment, your discipleship are a reflection of His love into the lives of our students and our University. We cannot rest on the past, as Paul writes, “I focus on this one thing; Forgetting the past and looking forward to what lies ahead, I press on to reach the end of the race and receive the heavenly prize for which God, through Christ Jesus, is calling us.” (Phil 3:13b,14) I am excited to see what God has in store for the future of Belhaven University. 2018 commemorates the 50th Anniversary of the assassination of Dr. Martin Luther King, Jr. at the Lorraine Motel in Memphis on April 4, 1968. 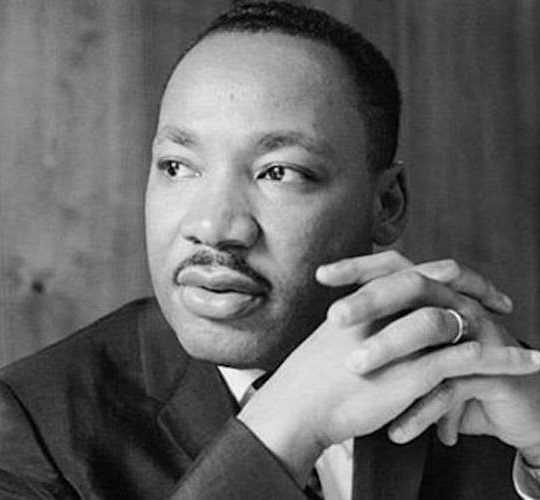 As we celebrate the life of Dr. King this Martin Luther King, Jr. Day and then prepare to commemorate the tragic day of his assassination, it seems important to reflect on his life and message. I am sure that many of you will have questions raised in your classes and you will want to encourage your students to take some time for reflection. This is especially needed due to the social unrest we have been experiencing in our country and even in academia recently. That is the key, not only to all intellectual endeavors, but also to all social progress – to become truer as individuals and as a society to a deeper and truer Christianity. As your students inquire and as you reflect on what happened 50+ years ago and on what is happening today, it is hoped that we will personally inch closer to the biblical standard and that we will lead others to do the same. 1 Chappell, David L., A Stone of Hope: Prophetic Religion and the Death of Jim Crow (University of North Carolina Press, 2003). 2 Keller, Timothy, The Reason for God: Belief in an Age of Skepticism (New York: Penguin Random House, 2008). 7 Laws of the Learner is the title of a book by Bruce Wilkinson published in 1984. The focus is on understanding how students learn and ways to enhance student learning. Because Dr. Wilkinson is a Christian, biblical principles are applied throughout the material. He draws out the word for teach in Deut. 4:1 and learn in Deut 5:1 and shares that they have the same root. May God bless you for all you do and the lives you are impacting by your faithfulness. by Dr. Paul T. Criss, Ph.D. The first principle of Scripture Alone sparked a hunger for knowledge and a reformation, not only of the church, but of education as well. The following is a summary the great research of Hugh Whelchel (https://tifwe.org/how-the-reformation-changed-education-forever/), David Murray, William Boice, and R.B. Peery (Luther’s Influence in Education). Martin Luther has been called “the father of modern education” because he was almost as great a reformer of education as he was of religion. John Calvin was known for reforming higher education. The Reformation took salvation out of the hands of the clergy and placed it, under God, in the hands of each individual. This necessitated each individual possessing the potential to have a Holy Spirit illuminated understanding of Scripture. It also directed Christian belief away from the dictates of the church and vested it in the Word of God; to teach each person to derive their interpretation of the Bible, not from the church or clergy, but through personal prayerful investigation of God’s revealed Word. All of this required that each person be able to read Scripture him or herself. It also meant that each individual must learn to read and to think clearly and critically leading to a reformation in education. The reformer’s concern did not stop at literacy; they were interested in both the theory and practice of education as well. In nearly all of this writings, Luther references better education; however, his principles are clearly outlined in the letter “To Mayors and Alderman of the cities of Germany in Behalf of Christian Schools” (1524) and his sermon on “The Duty of Sending Children to School” (1530). The following ideas draw heavily from these writings unless otherwise noted. Who is Responsible for Education? The reformers taught the parents and the church held the primary responsibility of educating children under the authority of God’s Word (with possible support from the state). 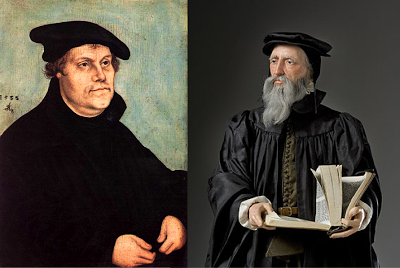 Luther and Calvin personally started numerous schools with existing churches. Parents were expected to reinforce instruction at home and church leaders would assess the instructional process and a student’s progress throughout the school year. Luther encouraged the state to provide stability to education by undertaking and supporting primary and secondary schools. He said, “Therefore it will be proper for the civil authorities to exercise the greatest care and industry in regard to the young; for, since the interests of the city are committed to their trust, they would not do well before God and the world if they did not seek with all their might to promote its prosperity. Now, the prosperity of a city does not consist alone in the vast treasures, strong walls, beautiful houses, large supplies of muskets and armor; yea, when these things are found, and fools exercise authority, it is so much worse for the city. The best and richest treasure of a city is that it have many pure, learned, intelligent, honest, well-educated citizens, for these can collect, preserve, and properly use whatever is good” (1524). The reformer’s perspective on the sovereignty of God over all creation affected how they approached the study of all topics. All truth is God’s truth and theology, as the queen of the sciences, unifies all knowledge and understanding under the guiding principles of Scripture. As Mark Thompson wrote in Engaging with Calvin, “According to Calvin, science was a gift of God, created for benefit of mankind. The real source of natural knowledge was the Holy Spirit. Whoever dealt with it acknowledged God, obeyed the call of God, and focused on God’s creation. Thus, biology was also theology.” The reformers knew that the Reformation movement would grow through the study of arts and sciences through the lens of scripture. They also thought of education as a way to prepare students more efficiently to easily perform their daily duties in life. In some way even the concept of adult studies was encouraged, or at least schools at hours which would not interfere with the work schedule of those obligated to earn their living; these guidelines were recommended to authorities of both the church and state. Luther stated students should “spend an hour or two a day in school, and the rest of the time at work at home, learning some trade and doing whatever is desired, so that study and work go together…” (1530). The reformers viewed the position of teacher as very important. They actually viewed teachers as officers and servants of the church. The call to “Scripture Alone” required teachers who would teach how to read and understand the Word of God. Because of this, they required teachers not only to have expertise and education in their discipline, but also to obtain a degree in theology and to demonstrate high character. They also thought that teacher’s compensation should be high enough to provide education to the poor who could not afford to pay for their own instruction. John Calvin founded the Genevan Academy. It became the model for colleges and universities for several centuries. Hugh Whelchel describes, “the Academy was a university that offered higher learning in a number of subjects, including theology, training pastors, and those preparing for other vocations.” The Academy also viewed its purpose to prepare those who would serve in the church and in government. Historians affirm that wherever followers of the Reformation went, they founded churches, school, and colleges. In fact, many of America’s early colleges, like Yale, Harvard, and Princeton, were originally based on the model set by the Genevan Academy. Luther advocated for a broader range of subjects to be taught to students based on liberalis study that taught students to contribute to society rather than servilus education that simply taught one skill to keep people in servitude. He retained the normal course of study for the clergy (Latin, Greek, and mathematics), but he also recommended Hebrew, more mathematics and additionally he insisted on nature studies, the sciences, rhetoric, gymnastics, history, and music. He realized the cultural power and practical value of music. Of course, Luther gave priority to the Christian teaching in all educational endeavors, so perhaps he was one of the first reformers to teach the Christian Worldview (along with Calvin). By using the Bible and the Catechism, he focused on developing the heart as well as the head. He also insisted on teaching being in the vernacular. He believed that students should not be subject to the medieval tradition of harshness, but rather should be dealt with gently and kindly, being ruled by love and not fear so they would find joy in learning. He also began the tradition of Academic Freedom by allowing liberty and opportunity for self-expression and questions within the classroom. Scriptural reformation and education are the keys to cultural transformation. James Montgomery Boice in his book Whatever Happened to the Gospel of Grace? Recovering the Doctrines that Shook the World illustrates for us: “Here is a particularly striking example. In 1535 the Council of Two Hundred, which governed the city of Geneva, Switzerland, decided to break with Catholicism and align the city with the Protestant Reformation. They had very little idea what that meant. Up to this point the city had been notorious for its riots, gambling, indecent dancing, drunkenness, adultery, and other vices. The citizens of Geneva would literally run around the streets naked, singing indecent songs and blaspheming God. They expected this state of affairs to continue after they had become Protestants, and the Council did not know what to do. It had passed regulation after regulation designed to restrain vice and remedy the situation. They thought becoming Protestant would solve the problem. But that did not do any good either. Genuine moral change never comes from the top down by law, but from the bottom up through a transformed people. Geneva’s morals continued to decline. But the Council did one thing right. They invited John Calvin to become Geneva’s chief pastor and preacher. He arrived in August of 1536, a year after the change. He was ignored at first, even by the Council. He was not even paid the first year. Besides, his first preaching proved so unpopular that he was dismissed in early 1538 and went to Strasbourg, where he was very happy. He had no desire to go back to Geneva. Yet, when the situation in Geneva continued to deteriorate, public opinion turned to him again and, driven by a sense of duty, Calvin returned. It was September 13, 1541. Cleanliness was practically unknown in towns of his generation and epidemics were common and numerous. He moved the Council to make permanent regulations for establishing sanitary conditions and supervision of markets. Beggars were prohibited from the streets, but a hospital and poorhouse were provided and well conducted. Calvin labored zealously for the education of all classes and established the famous Academy, whose influence reached all parts of Europe and even to the British Isles. He urged the council to introduce the cloth and silk industry and thus laid the foundation for the temporal wealth of Geneva. This industry…proved especially successful because Calvin, through the gospel, created within the individual the love of work, honesty, thrift and cooperation. He taught that capital was not an evil thing, but the blessed result of honest labor and that it could be used for the welfare of mankind. Countries under the influence of Calvinism were invariably connected with growing industry and wealth…. It is not mere coincidence that religious and political liberty arose in those countries where Calvinism had penetrated most deeply. It has been said that we are to ever be reforming. For Christians, this means that we compare our beliefs and practice to the Word of God; it we do not line up to what the Bible says we reform or change to meet the biblical standard. May we, in obedience to Christ, follow in the steps of the reformers and be agents of ecclesial and cultural transformation through our efforts in education.